For many of us, achieving radiant skin is the main beauty goal. We use all sorts of makeup to imitate that: illuminating foundations, highlighters, blushes. But the best glow is enhanced by skincare, not by makeup. Nothing can beat the skin looking healthy and fresh from within. So if you are always seeking ways to boost that luminosity, this review might be of interest to you. I’m so happy to feature Raw Gaia today on the blog. 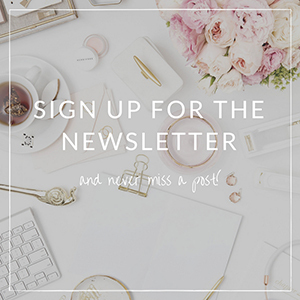 The chances are that you’ve seen it before on other green beauty blogs, but if not, let me tell you, my friend, this is a brand that ticks all the boxes necessary for every ethical and amazing beauty brand. I’ll start by saying that Raw Gaia is registered vegan, cruelty-free, and certified organic by, in my opinion, one of the most serious certification agencies – Soil Association. And that’s not even the half of the goodness! Raw Gaia is one of the most transparent and honest brands I’ve ever encountered that doesn’t use any if-y ingredients, but only what’s completely natural, wild-crafted or organic. Its packaging requires a separate mention and admiration of those obviously beautiful colorful glass bottles that are also recyclable. My husband always teases me that if I could, I would have all of my favorite beauty products with me at all times just to admire the packaging (well, technically, I could, but that would be insane). What he means is that if I like the packaging, I become a little obsessed with it. I show it to my friends multiple times when they come over, I take like thousand photos of it (and then show to my friends), I keep saying “just look at that packaging” for the hundredth time while using the product. OK OK, I’m just kidding, it’s actually not that bad (pretty close, though!). Raw Gaia definitely has one of those package designs that looks very appealing and beautiful to me. But enough about that, here are some thoughts about the products. 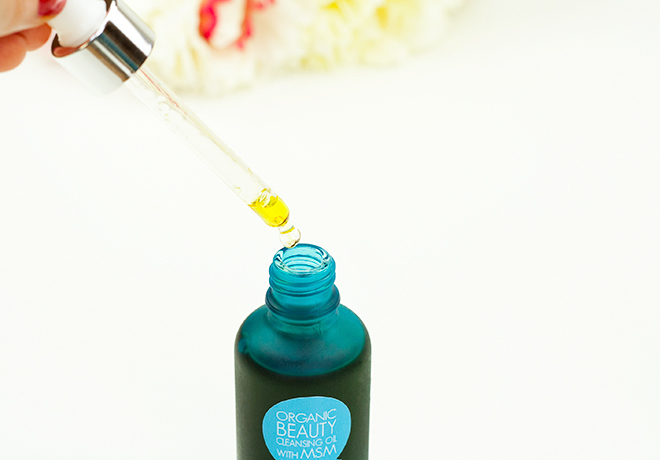 This cleansing oil comes in a pretty blue glass bottle with a pipette. Products with pipettes are great because you can easily control how much product you use, which lets you enjoy the product for a longer period of time by using it more sparingly. 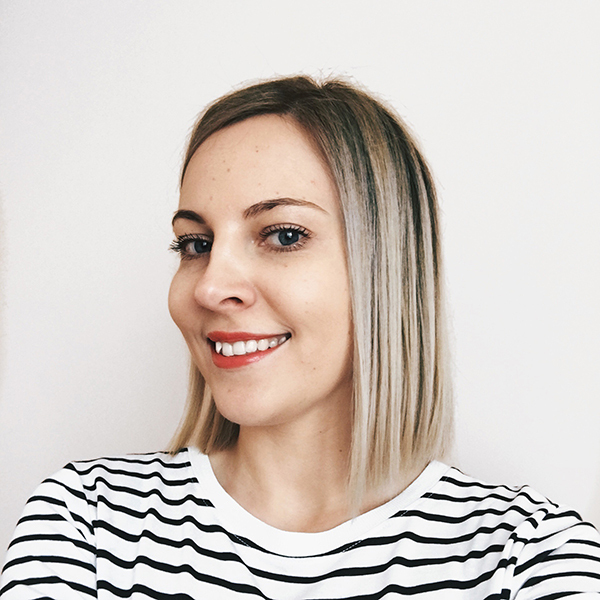 To be honest, for a while, I used to think that all cleansing oils were the same – greasy, heavy, and definitely not for me. I don’t remember which one of the cleansing oils was the first to completely change my mind, but it did. 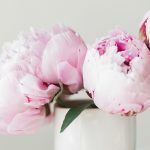 I started to see the differences and to understand that like all beauty products there are good and suitable for my skin, and there are the ones that I would not ever repurchase or try again. Raw Gaia Cleansing Oil with MSM is a cleansing oil that I enjoy using a lot. It’s a mixture of nourishing oils such as avocado, hemp, baobab, and chia, and “the beauty mineral”, as they call it, MSM, which is a naturally occurring mineral that improves skin’s elasticity and has anti-inflammatory benefits. Persea Gratissima (Avocado) Oil, Cannabis Sativa (Hemp) Seed Oil, Adansonia digitata (Baobab) Seed Oil, Brassica Oleracea Italica (Broccoli) Seed Oil, Salvia Hispanica (Chia) Seed Oil, Boswellia Carterii (Frankincense) Oil, Dimethyl Sulfone (MSM), Copaifera Officinalis (Balsam Copaiba) Resin, (Carapa) Guaianensis Seed Oil, (Euterpe) Oleracea Fruit Oil, Ricinus Communis (Castor) Seed Oil, Tocopherol (Vitamin E), Helianthus Annuus (Sunflower) Seed Oil, *Limonene. * Naturally from essential oil. Vegan. Certified by Soil Association. As you can see in the picture below, its consistency is light and runny, which makes it easier to spread on the face. Despite the consistency, the oil feels rich and moisturizing on the skin. The use is like with any other cleansing oil: apply it on wet skin, massage into your skin, remove with a damp cloth (you can’t wash those cleansing oils off with just water). It leaves the skin smooth like a peach, radiant, and wonderful. My only issue with cleansing oils is that none of them remove makeup (particularly, my mascara). So I usually use a double cleansing method where you wash the face with a regular (foam or cream) cleanser and then use the cleansing oil. I don’t mind doing it because I like how my skin feels after. Raw Gaia recommends this cleanser for normal, mature, dry, combination, and problematic skin types. My skin is combination dry (towards normal in summer), so if yours is different, but you want to give this lovely cleanser a go, there are 10 ml samples available. The Cleanser with MSM retails for $35/£30. This Glow Spray in a bright green spray bottle is called a moisturizer spray and is something I’ve never heard about before. If you like the novelty, this will sound as tempting to you as it did to me. Packed with cold pressed organic argan and hemp oils, MSM, and skin clearing and calming floral waters of juniper and sage, it’s some sort of toner with light moisturizing abilities. Cold Pressed Argan Oil, Cold Pressed Hemp Oil, Juniper Floral Water, Sage Floral Water, MSM, Citric Acid, Vegetable Based Preservative, Essential Oils of Lemon, Sweet Orange and Eucalyptus, Vitamin E, Sunflower Seed Oil. Vegan. Certified by Soil Association. My experience with this spray is quite positive. It refreshes the skin, gives obvious glow and radiance (yes, please! ), and leaves it feeling comfortable. 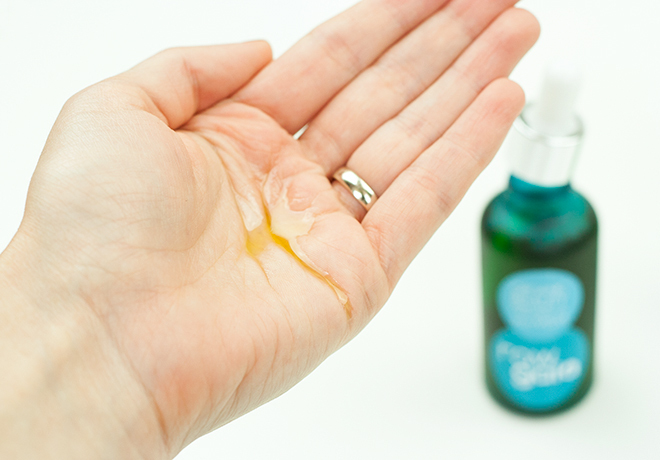 You need to shake the bottle very, very well before spraying the contents on the skin. This is important because oil and floral water tend to separate, so for the spray to be effective, you need to shake it hard with each use. Also, keep in mind that this is not a moisturizer per se, so your skin might still require your usual moisturizer/oil. The combo of the MSM cleanser and this glow spray is enough for my currently normal (towards dry) skin in the evening, but I still need to use a moisturizer before applying my makeup in the morning. 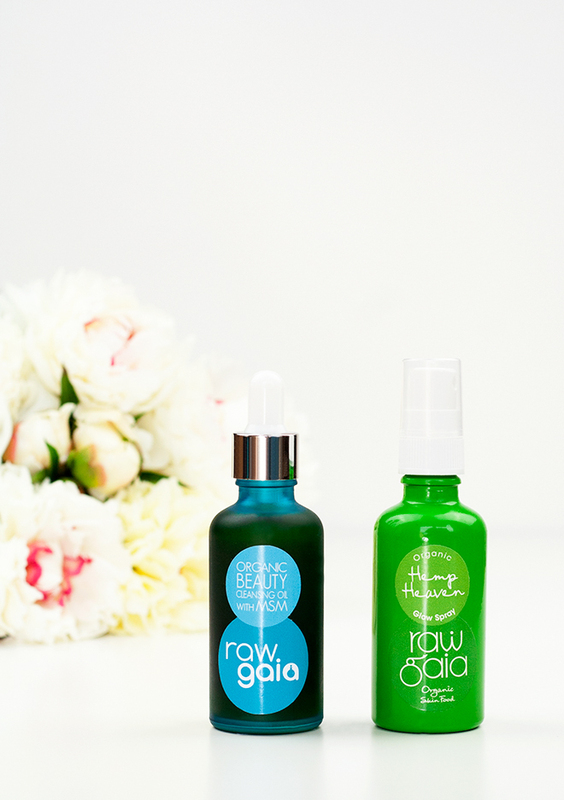 I’ll be blunt and tell you that this glow spray is much more effective when used with Raw Gaia cleansing oil. I’ve tried using it separately for the sake of the review, but as a stand-alone product, it didn’t sweep me off my feet that much. Together with the cleanser, it added much more radiance to the skin and made my skin feel even smoother and more nourished. Unfortunately, I also noticed that the Spray clogged my pores after using it for a while. The Glow Spray retails for $40/£35.95. So overall, I’m very impressed with this brand and can’t recommend it enough. I like the fact that Raw Gaia makes it easy to get any of its products in smaller sizes, so you can always get those trial sizes first, if hesitant. Have you tried anything from Raw Gaia skincare range? Thanks, Kiran! I use the spray instead of my regular toner before applying my moisturizer. Though, my skin is currently normal-ish, so I sometimes skip moisturizer at night or apply just a tad of marula oil after double-cleansing with cleansing oil and using the spray. I think you could also use the glow spray as a refreshing spray throughout the day, though, I haven’t tried it that way, so I’m not sure if it wouldn’t leave streaks on makeup since the spray also contains oils, not only floral water.